Philipp Grubauer made 38 saves, and Nathan MacKinnon scored two goals as the visiting Colorado Avalanche recorded a 5-0 shutout over the Nashville Predators on Saturday. The Avalanche have won five of their last six games, including four in a row, following an eight-game losing streak. With the victory, Colorado leapfrogs the idle Minnesota Wild into a Western Conference wild-card spot. It was a much-needed strong outing for Grubauer, who had struggled to a 3.42 goals against average and an .890 save percentage through 23 games this season. 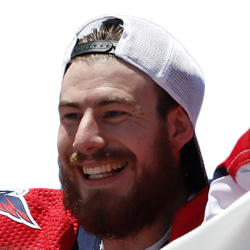 Grubauer recorded his first shutout since joining the Avalanche in a trade from the Capitals last summer. Despite outshooting Colorado by a 38-21 margin, the Predators couldn't solve Grubauer and had trouble creating scoring chances due to a strong checking performance from the Avalanche. Nashville went 0-for-5 on the power play to continue the club's season-long struggles with the man advantage. MacKinnon's 31st and 32nd goals of the season were near-mirror images, both coming on booming one-timers from the left circle. MacKinnon's first score put Colorado on the board 3:05 into the game, while his next goal came on the power play at 9:59 of the third period. MacKinnon also recorded an assist in the game. Alexander Kerfoot matched MacKinnon's three-point effort with a goal and two assists of his own. Kerfoot's goal was another power-play strike for Colorado, coming at 14:41 of the second period. After enduring an 0-for-30 stretch on the power play that stretched across 11 games, the Avalanche have now recorded four goals with the man advantage over their last three games. Nikita Zadorov scored a goal and an assist, while Carl Soderberg contributed two assists. Gabriel Landeskog scored Colorado's other goal. 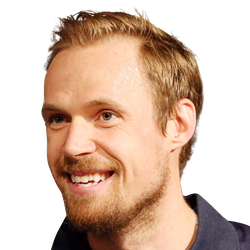 Pekka Rinne matched his season high with five goals allowed, stopping 16 of 21 shots. Predators defenseman Dan Hamhuis didn't return to the game after taking a hard check into the boards from Zadorov 16:22 into the second period. Hamhuis gingerly left the ice with an apparent lower-body injury.